For the morning of her wedding, Cathy had hired the bridal suite at the Wood Norton Hotel near Evesham for the bridal party to get ready in. She was joined in the morning by her bridesmaids, and professional hair and makeup artists. 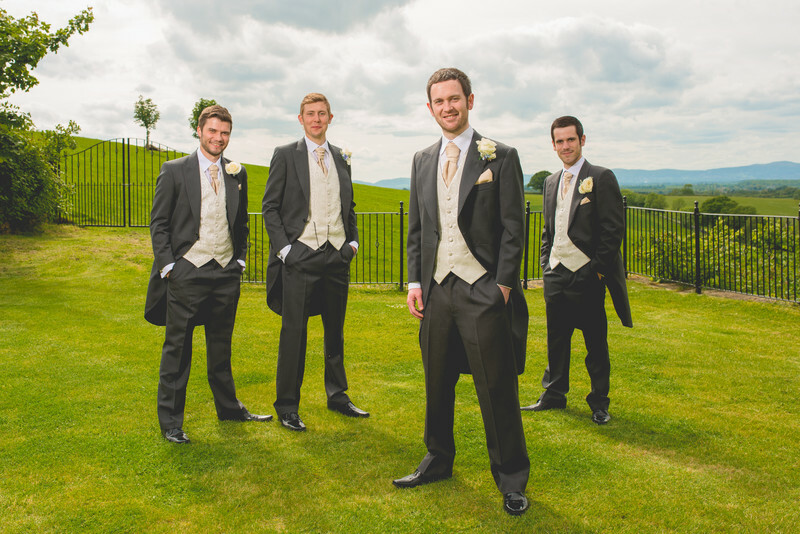 I love black and white wedding photography, and this is a particular favourite of mine from Cathy and Andy's wedding. I made sure to leave the Wood Norton hotel in enough time that I would arrive 30 minutes before the wedding party. This was important as it would allow me to photograph the groom and groomsmen without the risk of them seeing the bride before the wedding, but it also meant that I could be in place to photograph the bride arriving in her vintage wedding car. I had spoken to the wedding car driver before leaving the Wood Norton, and I knew that he was planning to drive straight into the courtyard that makes the rear entrance of Deer Park Hall. Cathy's bridesmaids arrived before she did, and were lined up outside the back entrance to the ceremony room. When Cathy arrived, the registrars weren't quite ready to start proceedings, so Cathy was made to wait in the car. 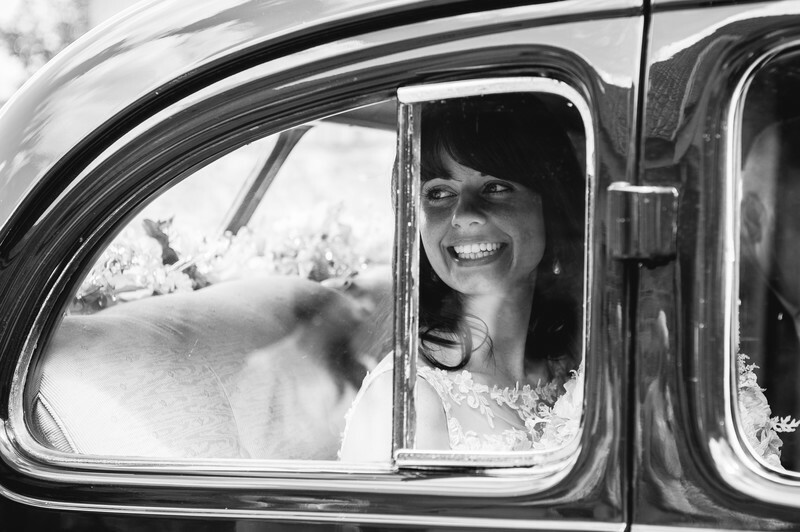 This photo was taken just as she arrived, and looked out of the wedding car window to where her bridesmaids were waiting. I love the look on her face - there's no hint of nervousness, just pure excitement! If you look closely you can see the reflection of the bridesmaids in the window of the wedding car.